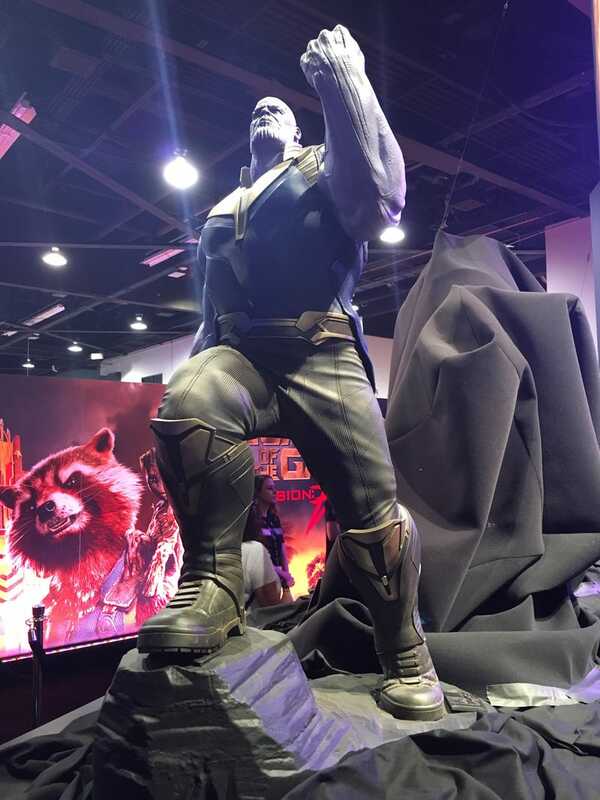 At D23 Expo, going on right now, Marvel unveiled a life-size statue of Thanos as he’ll appear in Avengers: Infinity War. And unlike previous glimpses of the Mad Titan that we’ve seen, this Thanos came dressed to kill. When Thanos finally goes to war with the heroes of the Marvel Cinematic Universe, he’ll have shed his gaudy space regalia in favour of a much more casual pair of space trousers and an armoured, sleeveless shirt, perfect for showing off his ridiculously muscular space arms. Judging by Thanos’ attire, he won’t spend all of Infinity War sitting on his floating space throne and will actually get down and dirty with the Avengers in his quest to court death—which is great because who doesn’t wanna see Thanos and the Hulk pummelling each other with their fists? Avengers: Infinity War hits cinemas in May 2018.